Summer Camps for 2019 Are now available for registration! The cost for camps is $50/day or $225/week. Before and after are additional costs and pizza and juice is included on Fridays ( you may opt out if you prefer). Half day camps are available for $35/day. 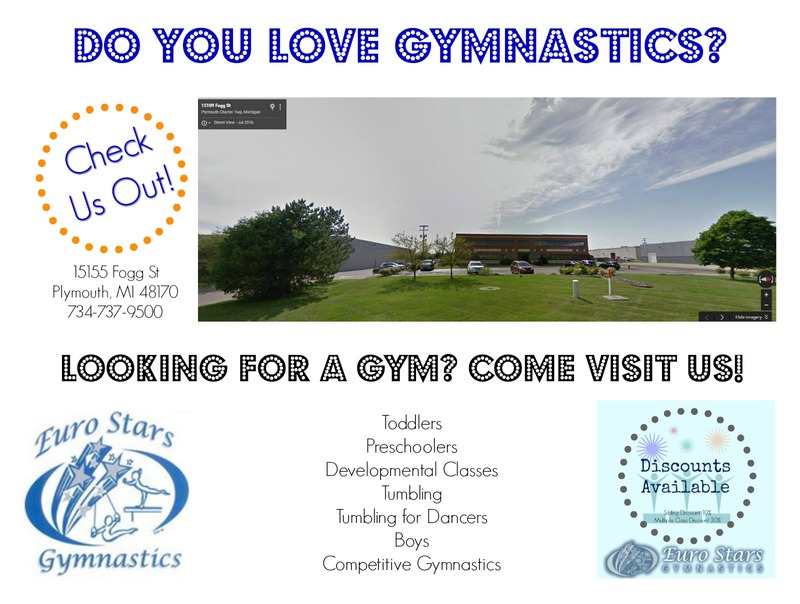 June 24 – 28 Summer Fun Camp, Gymnastics, Tumbling and More! 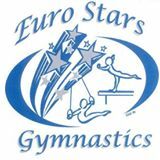 Euro Stars Gymnastics in Plymouth, MI, offers a variety of class and clinic options, but we also offer camps. Our school year camps are often a mix of both gymnastics and tumbling, with crafts and free time. Campers can choose which days they attend. Conveniently located just 5 minutes from Downtown Plymouth and Downtown Northville, we understand that you may need additional time, so we offer extended day options for many of our camps. For summer camps, our camp coordinator has set up specific skills and progressions for each summer camp to help ensure that campers not only have fun, but also come out with skills! It is important for families to know that even the most accomplished athlete goes back to basics – so the skills are progressive in nature, but a sound base is important.